Buying a used iPod will save you some cash but — as the saying goes — buyer beware. If you're not careful, you could end up with a busted MP3 player or something that wasn't worth the money. Pay attention to these seven things when buying your used or refurbished iPod and you should be ready to rock. What Generation Is the Used iPod? Don't buy an iPod older than one generation behind the current model. For example, if Apple's current offering is the iPod touch with an A8 chip, don't buy a device with an A6 chip. The older the model, the more likely it is to have a dead or dying battery, compatibility problems with modern software, or other problems. In the world of technology, even three years can seem like an eternity. Be smart when you buy and don't get something that's too old, even if the price seems great. The reputation of the seller is a good predictor of trouble. If you're buying on eBay, Amazon, or other sites where sellers are reviewed based on their transactions, take a look at your seller's feedback. If you're buying from a site, search for information on customer complaints about them. The more you know about the seller, the better. If you can get a used iPod with a warranty — even an extended warranty — do it. The most reputable companies selling used or refurbished iPods stand behind their work and offer warranties (individual sellers don't usually do this; that's OK). If something goes wrong, at least you'll have some peace of mind. The batteries in iPods can’t be replaced by the user when they die. A lightly used iPod should have decent battery life left in it, but anything more than a year or so old should be regarded cautiously. Ask the seller about the battery life or see if they’ll be willing to replace the battery with a fresh one (something repair shops can do) before you buy. If the iPod hasn’t been kept in a case, its screen may be scratched. That’s the normal result of day-to-day use, but those scratches can really be a pain if you’re planning to watch a lot of videos (it's a particular problem for used iPod touches since scratches can interfere with the touchscreen). Get a look at the iPod's screen (even if it’s just a photo) and think about how important scratches may be to you. The allure of a low price is strong, but remember that used iPods have less storage space than newer models. While the difference between a 10 GB iPod and a 20 GB iPod may not matter too much, the difference between a 10 GB iPod and a 160 GB iPod probably does. Whenever possible, get the iPod with the most storage you can afford — you'll use it. A lower price isn't always a better deal. Saving $50 on a used iPod is nice, but is that worth getting something that's beat up and has less storage? For some, the answer is yes. Others are willing to pay more for newer devices that are in better condition. Apple: Apple sells refurbished iPods through its online Apple Store. You can expect to save a few bucks and get a device checked out by the experts. Not a bad combo. 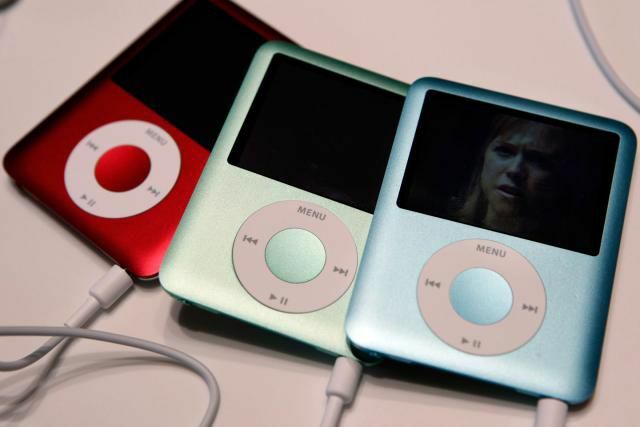 Resale companies: Companies like NextWorth and Gazelle, among many others, both buy and sell used iPods at appealing prices. Apple resellers: Some of the companies that sell new iPods also sell used iPods. These are mostly mail-ordered or online stores, which offer prices similar to Apple’s. eBay/Craigslist/Amazon: Sites like eBay, Craigslist, and Amazon are some of the key places to find bargains online, but buyer beware. Unless you’re buying from an established company with a good reputation, a scammer could stick you with a broken iPod that doesn’t have the specs they advertised. If your new iPod is replacing an older one, you may want to review your options for getting the most value out of your used iPod. Check out this list of companies that buy used iPods. Compare their offers for your old device and turn that iPod into extra cash.